A classic versatile multipurpose solution designed for extra comfort and to be gentle on the eye. 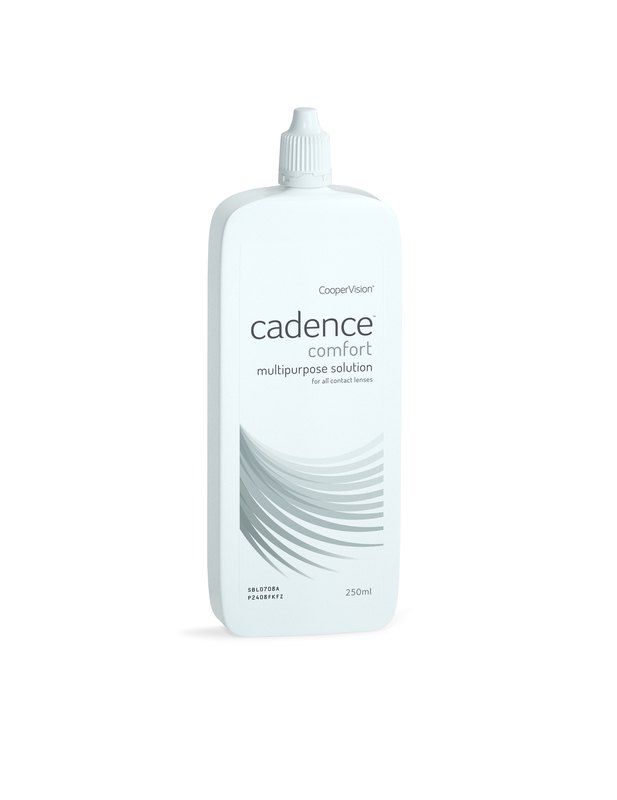 cadence comfort solution contains Hypromellose, which has been used as a successful comfort agent in eyedrops for many years. Perfect for patients looking for comfortable lens wear. 1. Simmons, P.A. et al. 2001. Conditioning of hydrogel lenses by a multipurpose solution containing an ocular lubricant. CLAO Journal. Vol 27 (4); pg 192-4. 2. CooperVision data on file: Clinical Study, 2013. 3. CooperVision data on file, 2008.